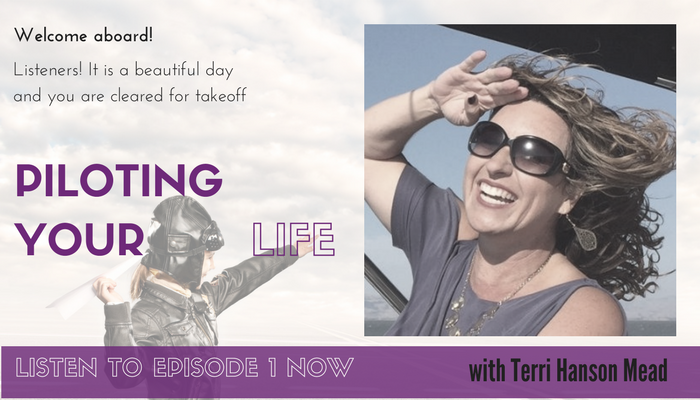 My podcast, Piloting Your Life, has been cleared for takeoff and I am excited to see you have boarded the aircraft. I need all of you on board to pay attention as I give you your in-flight instructions. We may encounter some turbulence upon takeoff, so please remain in your seat with your seat belts fastened until we reach a comfortable cruising altitude and the seat belt light has been turned off. Your in-flight entertainment will consist of inspiring interviews with people who chose not to rely on their internal fortitude to chart their own course. Terri discusses what helped them achieve the success they enjoy today. The goal is to provide inspiration for those struggling to overcome, among other things, sexism, racism, socioeconomic, cultural and educational challenges, that may or may not have been of their own doing, to be the pilots in their own lives. There will also be solo casts where Terri describes aspects of her own journeys that have been challenging or life changing. If there are points of interest that you would like to check out along our journey (for the in-flight entertainment) , please drop us a line at PilotingYourLife@gmail.com. This includes other inspirational guests you may want me to interview or some of my stories you would like to hear. I thank you for flying with me today. It’s a beautiful day to fly, and we are cleared for takeoff.